Great train stations capture a gamut of emotions: Reunion, separation, joy, sadness, anticipation, anxiety, romance, you name it. 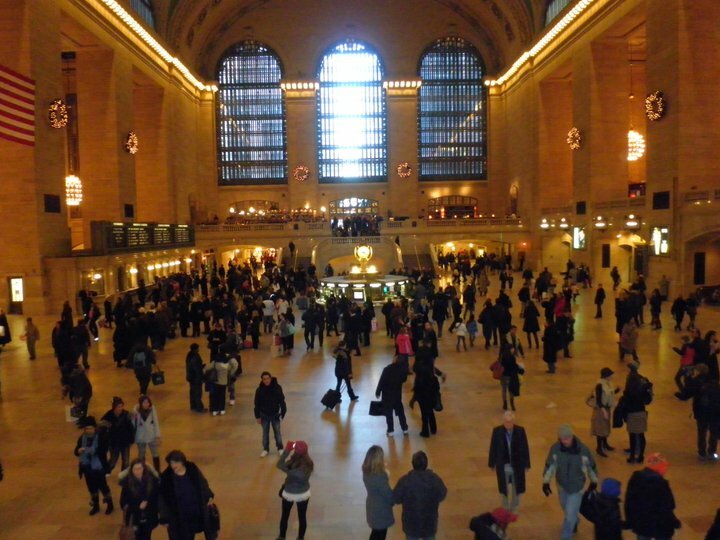 It’s no wonder that so many iconic movie scenes take place in train stations. In the U.S., my favorite is Washington D.C.’s Union Station. If the Boston-to-D.C. Amtrak ride wasn’t so long (taking the better part of a day), I’d be on it every time I took a trip to the nation’s capital! Union Station is beautiful, busy in a good way, and replete with shops and eateries to pass the time. New York’s Grand Central Station comes in second for me. It would be tied for first with Union Station but for the fact that it has been relegated to the status of commuter rail terminal. I hope the folks in Westchester County won’t get mad at me when I say that it’s such a waste of a public palace to hear announcements for trains departing to White Plains. Chicago’s Union Station is a pretty cool place. The Windy City was one of the nation’s most active passenger rail hubs back in the day, and Union Station’s splendor remains evident. Boston’s South Station is the Little Engine That Could. It’s not super fancy or beautiful on the inside, but it looks nice on the outside and serves as the city’s main intercity and commuter rail station. Not bad for a college town on steroids. One of the ugliest, most cramped major stations is New York’s Penn Station, which was once an architectural showpiece until certain powers that be knocked down its most beautiful parts and turned it into an underground horror show. Most of my train travel abroad has been in England and the European continent, and about many of those places I can only say wow. London, Paris, Berlin, you name it, both past and present make themselves known. During trips to London, I’ve usually stayed at inexpensive B&B hotels near Victoria Station. I just love that train station. It pulsates with life. Like air travel, a long train ride used to be something of an event. Those days have largely passed, at least in the U.S. Nevertheless, a beautiful train station can still fill one with excitement over journeys starting and ending. One of my goals is to travel about the US by train. There are so many places to go its hard to chose a place to start. I ave almost no experience with the stations you write about, with the exception of Grand Central (and the last time I was heading to White Plains–sorry!) But you make them sound very appealing . . .